Gulmira had worked as a website administrator and government employee, a position which she had held since 2000. The website Gulmira administrated reportedly posted an announcement, calling Uyghurs to demonstrate on July 5. After the events on July 5, Gulmira disappeared for three months. Her family only learned about her detention in October 2009, when China Central Television (CCTV) broadcasted a documentary entitled The July 5 Riot from Start to Finish which named and showed Gulmira, who was wearing prison attire. The documentary claimed that the July 5 demonstrations in Ürümqi was organized by separatist forces cooperating inside and outside the country, and said that Gulmira was one of six organizers who attended three meetings planning the demonstration. The documentary also claimed that Gulmira had leaked state secrets to her husband. The leaks were allegedly made in phone calls from Gulmira to her husband on July 5. During her trial, Gulmira is said to have tried to address the court about torture and other ill-treatment she experienced in a police detention center, which was overcrowded and lacked shower facilities. Since her sentencing, Gulmira has only met with her lawyer twice. She once appealed her sentence (date unknown), but was rejected. Gulmira is currently held in the Xinjiang Women’s Prison (Xinjiang No. 2 Prison) in Ürümqi. 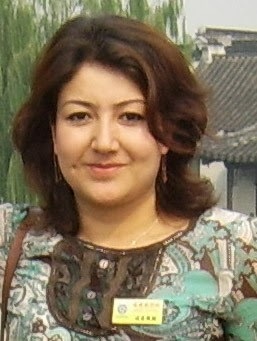 Gulmira, of Uyghur descent, was born in 1978.